At the end of July I was in Glasgow for the Commonwealth Games. Not for the games themselves but to serve as a Street Pastor in the city for the week. 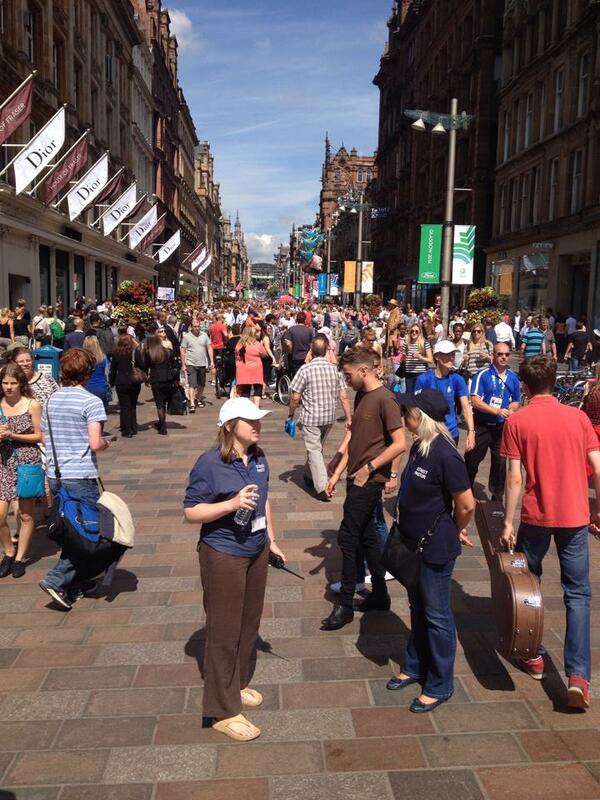 Tens of thousands of people visited Glasgow over the week. The atmosphere in the city was really buzzing. As we walked the city we saw a huge cross section of humanity – we met people happy and rejoicing, we also met people who were broken, sick and poor.. lost confused and helpfuless… and echo’s of Jesus compassion pour into us. We had the privilege of praying, feeding and caring for many different people… praying for health, listening to stories, speaking life, bring people to places of refuge and practical help… responding to the gentle nudges of the Shepherd. I was left with the feeling that for us, the church, to be surrendered to Christ, to remain fully in Him, in constant eternal communion with Him… we are to go… go to the fields.. go to the Harvest… to have compassion on all we meet… to heal the sick… love the lonely… to care for one and all… to be part of the revelation of the Kingdom of God on our streets. This entry was posted in Effective Church, Mission, Service and tagged Commonwealth Games, Glasgow, Harvest, Street Pastors, Workers. Bookmark the permalink.